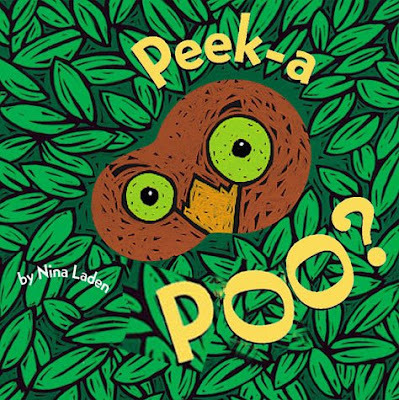 One of our favorite books around here is Peek-A-Who by Nina Laden. It's a cute little board book filled with a few words that rhyme with "Who." We are a bit surprised that she didn't include an obvious word used most around babies and toddlers. We think this sequel below would be a hit for any family, especially for those who have more than one kiddo in diapers. It's a fun game you find yourself playing at the hint of any fowl smell, searching to find the hidden "gem" among the little bandits. We most enjoy Midnight Peek-A-Poo, which involves using a flashlight to hunt the treasure! What a lucky night when you find more than one! A giggle to start my day. Your sense of humor fills your days with joy - even with everyday, must do, not so sweet tasks to complete. Miss you all, much love. You guys are so funny! I never thought of a flash light! I just use my sniffer to find he "guilty" one but my mom used to do one better, she would check with her finger! It was SO gross! Well, she found that "gem" too many times because she uses her sniffer now too! hahah!